Getaway plans for May's two bank holiday weekends will be disrupted by rail engineering work. 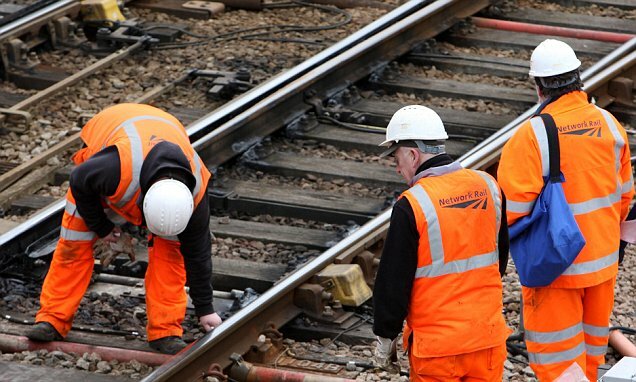 Government-owned Network Rail will carry out more than 820 projects during the first and last weekends of the month. The organisation says it schedules work for bank holidays as there are fewer passengers than normal on those days. Between May 5 and 7 Liverpool's mainline services will be reduced, with some replaced by buses or diverted via Manchester. Significant work in the south of Scotland between Glasgow and Edinburgh means East Coast services will start and terminate at Edinburgh, while West Coast trains will not run north of Lancaster/Oxenholme Lake District. Rail connections to the UK's busiest airport, Heathrow, will be severed on May 6, when there will also be no trains serving London Paddington. Signalling improvements at Birmingham New Street on May 26 and 27 mean London Euston-Birmingham trains will be replaced by buses between Birmingham and Coventry.